Buy 18 or more for $21.84 each. 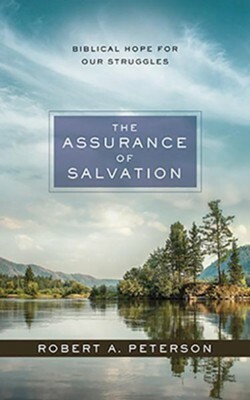 Peterson asserts that difficult backgrounds and experiences, intellectual doubts, tender consciences, habitual sins, and overconfidence that people face are the enemies of assurance. Through a competent handling of the Bible, he explains that by embracing three gifts from God-His Word, His Spirit, and His work in our lives-those who struggle with insecurity are able to personally experience the freedom of God's assurance. I'm the author/artist and I want to review The Assurance of Salvation: Biblical Hope for Our Struggles, Unabridged Audiobook on CD.